RODEO: Before she left home soil for the very first time, young barrel racer Montana Dunn received a special going away gift. She was presented with a new riding helmet adorned with Aboriginal artwork that promised her a safe journey to the United States and back. 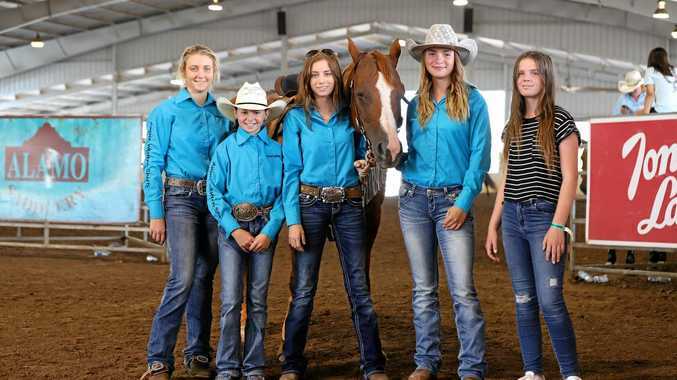 It also allowed her to proudly represent her heritage on the world stage as the 10-year-old competed for Australia at the NBHA Youth World Championships at the end of July. With her tender age and small stature, Montana is no stranger to battling much older, and much bigger, opponents and did so again in the states against some of the top young riders in the world. The Lake Clarendon youngster has spent the past two years riding in under-18s competition after outgrowing the pee-wee ranks. Although she was heartbreakingly bumped out of the top 15 in her bracket in the closing stages, her mother Martina Smith said the entire experience in America was one neither would ever forget. Montana spent six days in the lead-up to the titles bonding with leased horse Spooky and rode him in a local event on her first night in Georgia with just a couple of hours of sleep under her belt. The horse's owner and trainers provided a strong support network during their time in the country, taking them on trail rides and hosting cook-outs on their behalf. Media interviews, big crowds and bright lights were all part of the package of the world titles. "I think she's come back an even better rider,” Martina said. "The people we leased the horse off were wonderful. They really looked after us like family. "They supported (Montana) every step of the way. It was a little odd competing without usual riding partner Candee but Montana quickly took to her temporary companion. "He was really nice and he looked after me,” Montana said. Before travelling over to America, Montana finished first in the under-18 Warwick Gold Buckle Series for the second straight year. 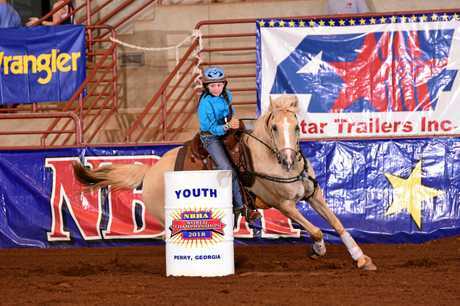 She will feature in the NBHA national finals this weekend and district finals the following week to determine if she qualifies for another world championships next year.